The Expanse is in danger of becoming a great show as many of our favorite characters merge in a thrilling shootout on Eros Station. 'Salvage' felt like a season finale with Holden and Miller finally meeting face-to-face. Thankfully, we still have two more episodes left before we have to say goodbye to one of the better shows to premiere in the latter half of 2015. Sometimes it's better to have your dessert first, so let's start at the end. Patience is always a virtue in the world of entertainment, especially when you're trying to build tension out of a scene you can see coming a mile away. We all knew the shooting would start, but the creative team behind The Expanse took their time in executing the action. It's a slow role for sure, but the prostitute, big guys in trench coats, that crazy music and the creepy hotel attendant all added to the amount of tension in the room. Everyone looked shady, but who was actually packing heat (do people still say that)? Among Holden's crew, Amos remains the most aware of his surroundings and is still vital to their survival. The man trusts no one and while that may make him a little trigger happy, it also heightens his senses. When he started to unzip his jacket, it was on. This sequence is a great example of what can be achieved when people take their time to craft a story. 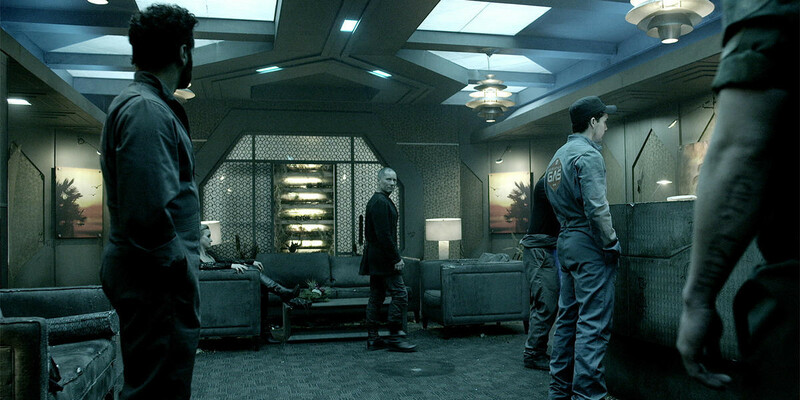 Quentin Tarantino is king when it comes to the best shootouts in modern film, but The Expanse proved that television can come close when done well. It appears that Miller's search for Julie Mao has come to an end, as we see the once beautiful O.P.A. member covered in that living organism we saw on the stealth ship Anubis. We're still not sure what this substance is, but the SyFy channel refers to it as a "glowing blue electrical-spore thing." What's interesting here is where did this substance come from? Did the ship accidentally pick it up somewhere, or is this a direct result of stealth technology? Either way, Miller and Holden will now have to decide what to do next. 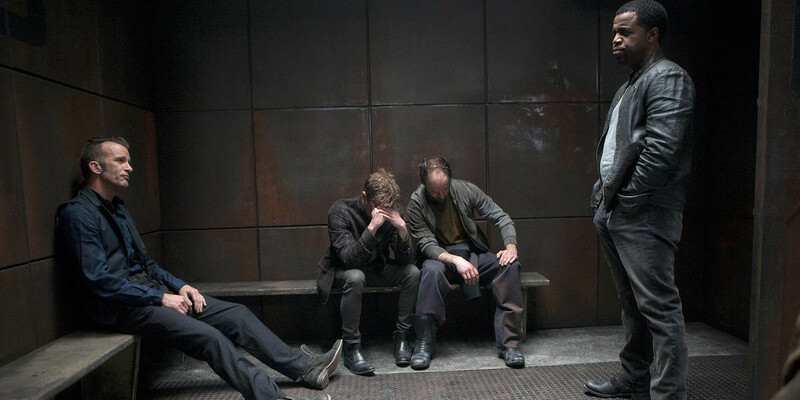 Holden is clearly in the tougher position, as the U.N. is trying to kill him, but Miller is in a more fluid state. Hopefully he will join Miller and the rest of the crew on their adventures. Back on earth, Chrisjen is still playing political games and now understands the consequences of her actions when she learns of the death of Franklin Degraaf. In typical fashion, the tough diplomat hardens her face and moves on to the next problem at hand, which is keeping Holden alive. Chrisjen is a great example of political power and how the politicians hand out orders while the so-called "grunts" do all the heavy lifting. There's no denying she's tough, but it would be nice to see her out in the field. Perhaps she'll get desperate and leave Earth to help Holden? Only time will tell. 'Salvage' was another fantastic entry in an already stellar first season for the new Syfy show. Here's to hoping the final two episodes won't let us down. Keep watching to see what happens next!